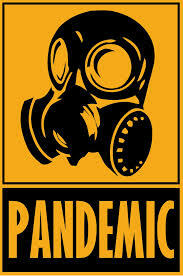 Is SARS a precursor to pandemic? This version of the article was published in The Toronto Star on May 20, 2003. The original version is available here. When a relative finally succumbed to cancer a few weeks ago in a Toronto hospital, her parents and children were unable to be with her at the end, because of visitation restrictions enacted in response to SARS. Disarray brought on by the epidemic also caused the staff of another hospital to store a friend’s terminally ill and bedridden father in the morgue while he awaited transportation to his home. Similar stories abound of families and patients enduring indignity, separation or heartbreak as hospitals struggled to establish appropriate procedures in the wake of an unforeseen public health emergency. Despite such unfortunate occurrences, Toronto is being applauded in international public health circles for having acted swiftly and effectively to contain the epidemic. Inconveniences were many, but infections and deaths were relatively few. An epidemiologic modelling exercise performed by scientists at the Los Alamos National Laboratory in New Mexico predicted a potential outbreak of 200,000 victims in the Toronto area. Instead, due to the vigilance of Toronto health workers, SARS will likely have infected only a few hundred people in the region. With a death rate of around 6 per cent, this translates to 12,000 lives having been saved by effective epidemic containment practices. While this is certainly a cause for a degree of self-congratulation, another perspective needs to be considered that the SARS outbreak is merely a trial run for a truly lethal epidemic, one that is sure to visit us in coming years. Epidemiologists are fond of citing the global influenza pandemic of 1918 as a virulent terror that is certain to return. Indeed, many experts believe that that outbreak, characterized by a high kill rate that affected mostly young, fit people, was largely responsible for stopping World War I, having removed so many young men from the battlefield. That outbreak killed 20 million to 40 million people worldwide. Every year, seasonal influenza kills 500 to 1,500 people in Canada, mostly among the elderly or those with compromised immune systems. Every few decades, however, a mutation creates a particularly virulent form of the disease, and a lethal pandemic results. In this century, global flu pandemics have occurred in 1918, 1957 and 1968. According to this pattern, another is likely to be upon is in five to 10 years. In such an event, if a vaccine were not available, according to a model devised by the U.S. Centers for Disease Control and Prevention, Canada would see 9,000 to 51,000 deaths. Even with a vaccine developed in time, production and distribution limitations might still cause nationwide bed shortages and urban quarantine conditions. The public’s distaste for vaccination is also an issue. A 1993 Health Canada study found that only 13.8 per cent of Canadians chose to receive the flu vaccine in the 1990-91 season, despite its proven ability to prevent or lessen the disease’s transmission. The major reason given by those avoiding vaccination was a fear of side effects. Such popular misconceptions regarding adversities posed by vaccination will surely hinder attempts to quickly rein in the effects of a sudden, lethal pandemic. To be fair, it should be noted that in 1976, more people in North America developed bad reactions from the swine flu vaccine than actually contracted the disease. Epidemics like the SARS outbreak are rare, but will likely increase in frequency. Globalization has resulted in closer ties between the farthest points on the globe, and improved air travel has greatly facilitated the transportation of disease vectors between those points. Population pressures, particularly in Africa and Asia, are forcing human settlements to become more intimately involved with previously isolated ecosystems, and to compel closer associations between people and livestock. This provides more opportunities for zoonoses, diseases transferred from animal to human domains. Ebola, hanta virus and a host of flu-like bugs have all resulted from such conditions. More new diseases are inevitable. Toronto has weathered a small outbreak of a relatively non-lethal disease, but at significant financial and emotional cost. A true pandemic will quickly overcome extant resources. Any given city will not be able to draw additional resources from provincial or federal sources, since all areas will be affected simultaneously. Canada has had a structured federal influenza pandemic response plan since at least 1988, but our public health is threatened by more diseases than just the flu. We should learn from the SARS experience and develop appropriate responses for larger medical emergencies, much like the emerging U.S. bioterrorism response plans. Any such plan necessarily begins with education: The more we know, the more willing we will be to tolerate the incursions on our dignities and freedoms that an outbreak emergency will probably entail. Dr. Raywat Deonandan is a Canadian epidemiologist working in Washington, DC.